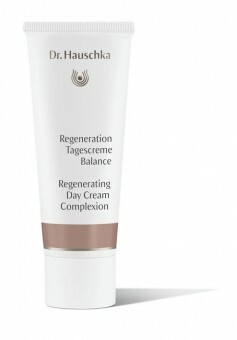 Regenerating Day Cream Complexion - Smoothing face care with mineral pigments, has a visually balancing effect. 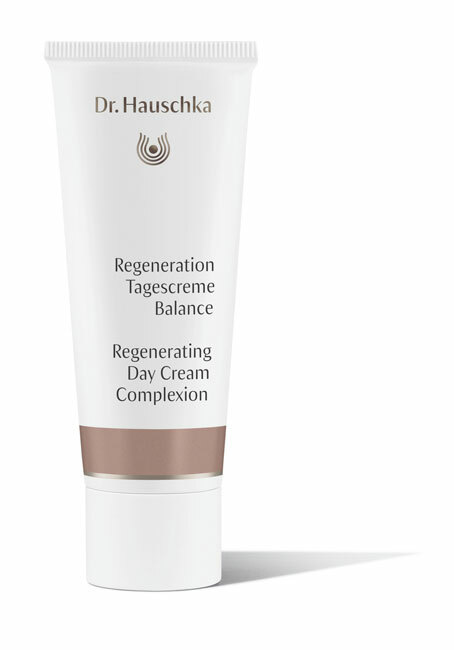 Regenerating Day Cream supports the skin’s natural regenerative functions, enhancing skin elasticity, balancing moisture content and making skin feel smooth, soft, firm and supple. 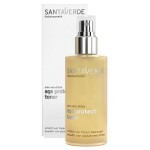 For a visibly refreshing, lively radiant complexion. Application: In the morning, after cleansing with Cleansing Cream and toning with Regenerating Serum, apply gently to the face. 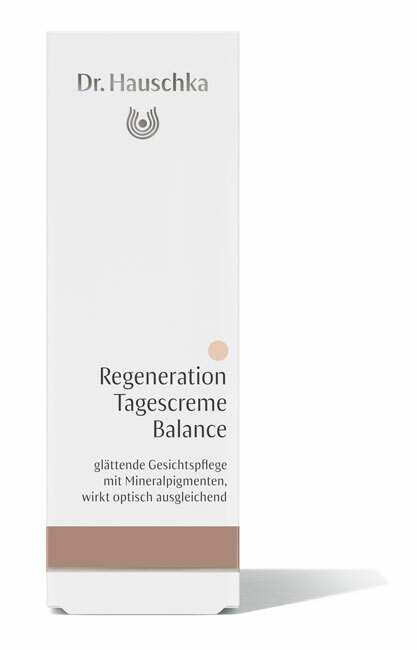 Ingredients: Water (Aqua), Simmondsia Chinensis (Jojoba) Seed Oil, Persea Gratissima (Avocado) Oil, Alcohol, Prunus Amygdalus Dulcis (Sweet Almond) Oil, Glycerin, Sucrose Laurate, Rosa Damascena Flower Extract, Olea Europaea (Olive) Fruit Oil, Hectorite, Beeswax (Cera Alba), Butyrospermum Parkii (Shea Butter), Glyceryl Stearate Citrate, Fragrance (Parfum), Equisetum Arvense Extract, Althaea Officinalis Root Extract, Trifolium Pratense (Clover) Extract, Rosa Damascena Flower Water, Honey (Mel), Lysolecithin, Limonene*, Citronellol*, Linalool*, Geraniol*, Benzyl Benzoate*, Farnesol*, Citral*, Eugenol*, Benzyl Salicylate*, Rubus Idaeus (Raspberry) Seed Oil, Malpighia Punicifolia (Acerola) Fruit Extract, Kalanchoe Daigremontiana Leaf Extract, Chondrus Crispus (Carrageenan) Extract, Xanthan Gum, Glyceryl Stearate, Sodium Stearoyl Lactylate, Stearic Acid.